Most eLearning creators are often hassled with creating multiple course modules on the same subject matter, only because there are slight variations in requirements by the teams or the learners. For some teams, it might be important to go through the detailed information, whereas for others it could be just a refresher or only a few sections which are key. In case of learners, somebody might need to learn more about a particular section, the other already being a pro in that. So, what would a course creator do? Many of us, probably, end up creating multiple course modules on the same subject based on the audience’s diverse needs. Needless to say, it requires a lot of time and iterations. So, is there a smarter way of handling these situations? Yes, bother no more! Try microlearning! Too vague? Well, let me be specific, try learning arcs. 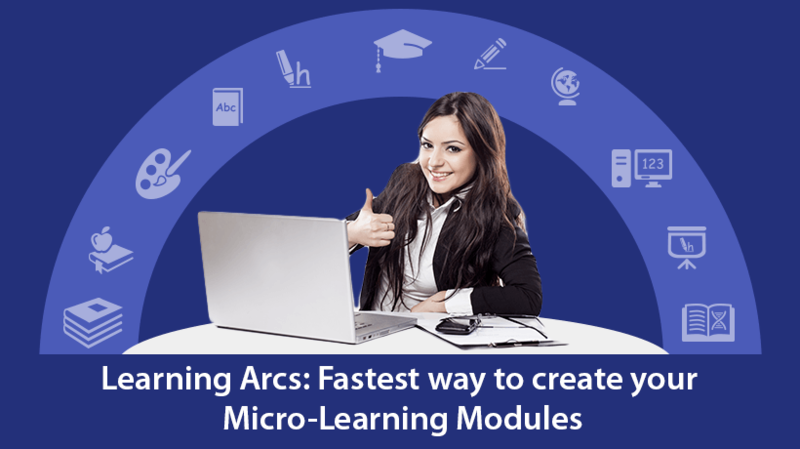 A learning arc is an interactive microlearning experience created using a series of interactions. The interactions are linked together in a cohesive manner in such a way that the arc can be complete in itself, or can even be part of a larger online course. Let me give you an example of a learning arc. Consider this interesting course on gamification created by Raptivity team. This course is made up of 12 different interactions sharing information about gamification, the game mechanics, human motivations, and so on. If you observe closely, the entire course is a huge learning arc in itself. It could be easily separated into two smaller learning arcs too - One on Game Mechanics, the other on Human Motivations. The two smaller arcs fit well as part of the bigger course but they even stand apart efficiently. 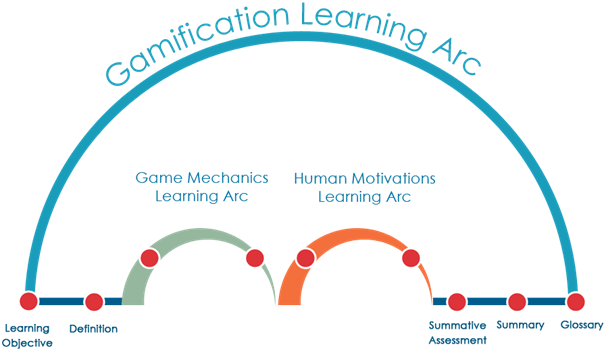 You could very well teach someone just about "Common Game Mechanics" or "Human Motivations" of gamification, right? I hope this example explains the concept of learning arcs. And now, coming to the big question, how do learning arcs solve the course creator’s woes? How can they maximize resource efficiency? Here is how: The interactions of any learning arc can be repurposed to create different "versions" of an arc-experience for different audiences. Sounds too complex? Well, simply put, it allows maximum reuse of same interactions. Let me share an example explaining this too. Have a look at the image below. 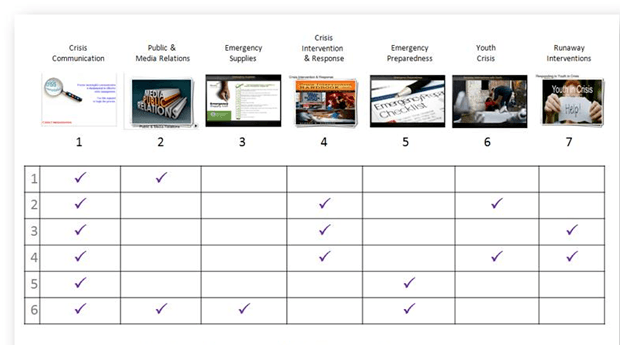 You can see seven different interactions that constitute a comprehensive course on Crisis Management at one of our customer organizations. 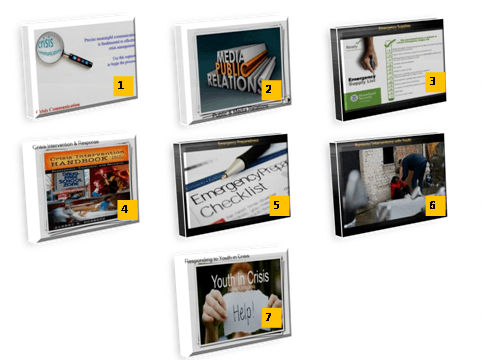 Now, see how (refer the next image) these 7 interactions can lead to the formation of 6 different learning arcs by reusing and reordering some of the interactions, essentially creating a different version of the arc experience. Each of these arcs constitutes a separate training module, whilst being a part of the bigger course arc simultaneously. So a course creator who would otherwise had to re-create six different modules from the base interactions to represent this, would now only need to order them as needed and play it as a course module. Raptivity Linker, by the makers of Raptivity, is a good option for quickly sequencing and publishing interactions as learning arcs. It allows sequencing interactions quickly as per the need along with SCORM tracking. The course creators would only need to create the base interactions for once. This kind of approach affords considerable flexibility and efficiency in meeting dynamic learning needs within an organization. 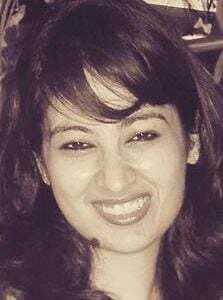 Over time, course creators can build a formidable wall of learning interactions that can be quickly grouped together in infinite combinations to create tailored, robust, functional learning modules. Course creators can spend more time in analyzing learner performance rather than be engaged in creating similar courses day in and out. Learning arcs form the perfect middle ground; they are long enough to constitute a full learning experience and short enough to be easily adaptable to different concepts and courses. The key is to think granular and then repurpose. If you build your interactions with a building block approach in mind, you can easily create a learning arc when they are brought together. Have you used learning arcs as short learning nuggets? Have you used learning arcs as branches within longer web based courses? I would love to hear your thoughts about some other ways in which learning arcs can get implemented. Share along. Hope you enjoyed reading this article.